U.S. Naval Academy Alumni Association of North Texas - BIGGEST NAVY @SMU Pre-Game Pep Rally & Post-Game Victory Party EVER! Welcome to the U.S. Naval Academy Alumni Association of North Texas - BIGGEST NAVY @SMU Pre-Game Pep Rally & Post-Game Victory Party EVER! BIGGEST NAVY @SMU Pre-Game Pep Rally & Post-Game Victory Party EVER! Join not only your North Texas alumni family, but those from across the State of Texas as well as neighboring states, for what will be the undisputed event of the year! 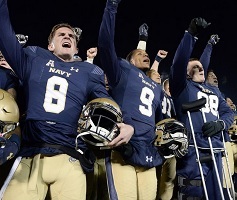 In September, Dallas will host the Naval Academy's ONLY regular season game in Texas this year! So we are going to show those Ponies how a Pep Rally and a Victory Party are really done - rain or shine! The Chapter has reached out across the state to coordinate what will be known as the US Naval Academy Alumni Associations of Texas Pre-Game Pep Rally and Post-Game Victory Party. The Parents Clubs and the BGOs are getting in on the action as well. We are making this a real family affair with discounted game tickets, hotel packages and games! SMU is taking advantage of this game to conduct a full-scale tribute to the military with no expense or custom spared! There will be a huge push throughout the community to encourage every seat to be filled - largely by military and their families - for the game and tribute show. We could not do this without you!! Learn more about sponsorship here. The Chapter is now going to offer a Pre-Game Pep Rally in addition to a Post-Game Victory Party! You get two parties for the price of one! End of the game - 6:00pm. ++ IMPORTANT: As a result of the new timing, we anticipate MANY MORE elated NAVY FANS and SUPPORTERS will want in on our party as they pass by. So, BUY TICKETS NOW so we will not have to turn you away at the entrance. Why this is the Best & Most Comfortable Gameday Events Ever! Our own, private indoor bathrooms throughout the tailgate - no porta-johns for Navy fans! We have expanded seating for everyone under the comfort of huge tents! Location is a stone's throw from the stadium - no long walks for us this time! Cheerleaders, Drum & Bugle Squad and Bill the Goat Mascot will be there! There is an inflated obstacle course for the younger ones! Our space is connected to the First Lady Gardens at the Bush Museum - free entry to the gardens. Mountains and mountains of great food for everyone - for breakfast and lunch! Several varieties of beer to enjoy! This year we have water!!! and . . . . EVERYTHING above is included in your ticket price!! This year we have two amazing bands lined up for you! The opening act will be the A shley Marie Band, an acoustic trio featuring vocals, guitar, and cajon. AMB music touches the soul through songs that span multiple genres and generations. Learn more! For the main attraction, we are thrilled to announce Justin Mason with our very own, Vic Andrews, USNA ‘10, as part of the band! The group is an accomplished country band two EPs recorded. Just as impressive as their music are their backgrounds. Jason Mason himself has served our community as part of the US Navy and later as a police officer for the City of Arlington. Other members of the band include a Fightin’ Texas Aggie electrical engineer, a cyclotron operations manager, an expert in aerospace manufacturing, and a USNA alumnus! Learn more about the band and Vic Andrews, USNA ’10, on the fiddle and harmonica! In addition to the amazing lunch you are about to read about below, we are also serving breakfast! For those who brave the early morning, we will have a country breakfast waiting. Like last year, we will have a full meal for lunch - only BIGGER AND BETTER! 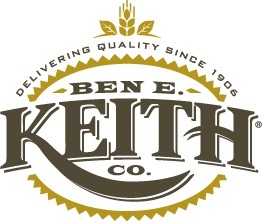 Thank you to Marshall's catering and Ben E. Keith for the generous donation of raw food!! Brisket, sliced - Marshall's beef brisket is slow smoked for 14 hours over hickory wood for perfect flavor and tenderness. Chicken, bone in - Chicken pit smoked perfectly over hickory wood. Each piece is fall off the bone tender! Potato salad - Mustard based, Southern style goodness! BBQ beans - Marshall's own traditional baked BBQ beans. BBQ sauce - The secret ingredient in Marshall's incredible BBQ sauce has been kept in the family since 1965. Don't ask...'cuz we won't tell! Rolls - Fresh and piping hot! Peach cobbler - Marshall's homemade famous peach cobbler, a taste sensation with the perfected amount of fruit to crust ratio. Banana pudding - Marshall's home-made traditional banana pudding with bowls & spoons. Yum! 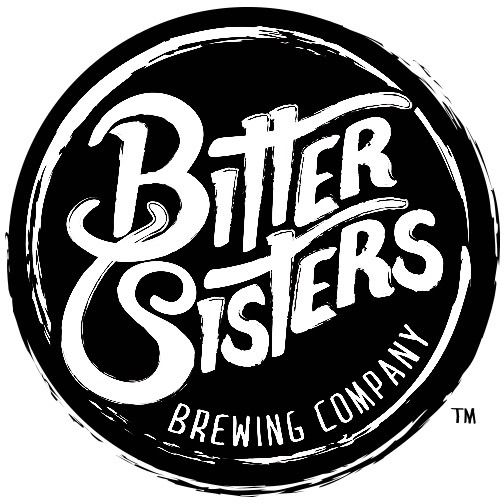 Special thank you to Ben E. Keith and Bitter Sisters Brewery for their very generous donations to the tailgate! Meet the Cheerleaders! 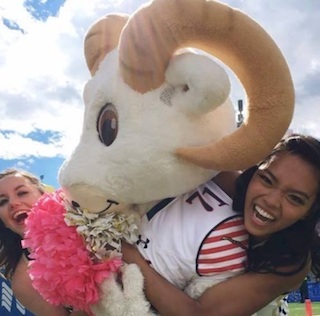 Take pictures with our mascot, Bill the Goat! our mascot Bill the Goat (guy in costume). 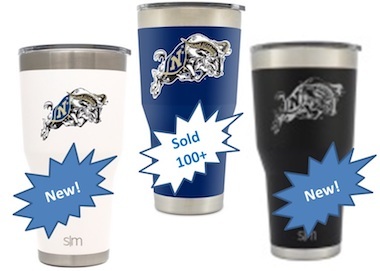 USNA Swag for Sale - pre-orders now accepted! Clear stadium bags with and without a zipper. All items are of limited quantity - some extremely limited - as we did not want to over buy for obvious reasons. We strongly recommend you pre-order the items for pick-up at the tailgate. Anything not pre-ordered will be available for sale at the event onsite, but do not count on it. Click to view and order swag items. Here is the link to the standard game day parking information. Please note that due to this game being a full tribute to the military, it will likely be sold out. Therefore, read on for special arrangements for this weekend. We HIGHLY recommend you take Lyft or an Uber. One of our own, Jon Calvert, USNA '95 and member of the North Texas Alumni Chapter, was able to secure a 35% discount for us! Use Lyft promo code "SMUNAVY18" and everyone taking a ride to or from the SMU area on 9/22 will receive a 35% discount on their Lyft fare. Thank you, Jon!! Mockingbird Station parking lots and garage will be open and FREE for game parking. It is in the NE corner of Central and Mockingbird. There is a FREE shuttle from Mockingbird Station to campus. First come, first served. Most of the other paid parking garages on campus will be available, as well. Also first come, first served. SMU has a parking lot designated for RVs: Lot U. Parking is first come, first served. Parking is charged at $25/per standard parking space used. The typical cost is $125-$150 to park there. The Tailgate Weekend is chocked full of activities and opportunities to celebrate with friends, classmates and family. In addition to the BIGGEST Tailgate EVER, the weekend will kick-off with a special opportunity lunch in Dallas, followed by a happy hour reception in Las Colinas. Like the Tailgate, these events are open to all. Join us for lunch with Admiral Locklear, Chairman of the Board of Trustees, United States Naval Academy Alumni Association and Foundation. All are welcome. Learn more and purchase tickets. Again, all are welcome! Please plan to join alumni, parents, Mids, family and supporters from around the country to kick-off the game weekend. Learn more and RSVP here. **There are no refunds for tailgate tickets. Tailgate (Pep Rally and Victory Party combo) tickets are not physical tickets. This is much like registering for a monthly lunch. Once you purchase a 'ticket', your name will appear on a list at the tailgate check-in. So, it is important that you provide the names of your guests when you register, or send them to Stacie at stacie@SACLeadership.com when you know them. September 20th is the last day our game ticket link will be active. After that, you will need to source tickets through SMUMustangs.com or third parties at a minimum of $40 per ticket. NOTE: Tickets are being sold through the SMU athletic office, not the Chapter. The Chapter will not be involved in fulfillment of your game tickets. The day before the game itself, you will receive an email with a link to your game tickets. You will then print them out yourself. Watch your email and SPAM folders, just in case. If you have any questions about your tickets, contact Calleagh (pronounced Cally) Darby with SMU Athletics at cdarby@mail.smu.edu. We have 40 rooms on hold for Friday night and again on Saturday night. They will extend the rates a day on either side. They are on a first-come, first-served basis and will expire August 31, 2018. Or call the hotel directly at 214-368-0400, ask for Reservations and reference group code USN. If you have any problems, our contact at the hotel is Kristine Barick. COME be a part of the BIGGEST EVENT of the YEAR! More information posted each week.